Enter my giveaway, and then hop along to enter more family friendly giveaways valued at $25 or more! 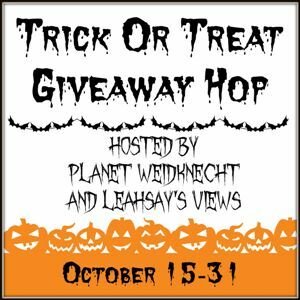 There are no tricks in this giveaway event!! Strength. Kindness. Self-Control. Honesty. Compassion. Patience. Joyfulness. Loyalty. Humility. These all sounds like great traits for our children to have, don't they? But just how do we raise children to have these positive character traits today? Earlier this year, I had the wonderful opportunity to attend Winter Jam- a fantastic Christian concert featuring artists like Newsong, Jeremy Camp and Francisca Battistelli, along with speakers as well. Among the speakers at our local concert was Sadie Robertson. I had watched Sadie on Dancing with the Stars (her Mario Bros Dance is my son's favorite! ), and already had a lot of respect for her and her family, but seeing her speak in person, that respect deepened. At such a young age, she was already so strong in her faith. As I watched her, I couldn't help but finding myself thinking that this is what I want for my kids. To have such a strong sense of faith that they could confidently live it and talk to others about it. I didn't know what her parents were doing to raise such positive characters in their children, but I wanted to know the secrets. First and foremost, let me just say that much like the other 'Duck Dysnasty' book I recently reviewed, you do NOT have to be a fan of the show to enjoy this book. Again, I myself have a lot of respect for the family, but really haven't watched much of the show at all. But I still really loved this book! Now, as a mother to a special needs child, I sometimes feel like parenting books just don't apply to my life. Parenting a child with special needs- be it autism, adhd or sensory issues, etc- is completely different than parenting a typically developing peer. I will be honest, I've found it rather disheartening when parenting books have said do this and it will work out- with no room for change for varying kids at all. So, I was thrilled to see that this was addressed. Noting that while children with special needs will benefit from the discussion at hand, the tools for us parents may look a little different. That may seem like a small thing, but as a mom with a child with behavior issues, it means a lot. And I agree, my parenting style may have to be different, but there is certainly much to be learned from this book for all. They take a deeper look at the character traits mentioned above, sharing real life stories and encourage you to choose two of these characters that you really feel are most important to teach YOUR children. They chose strength and kindness, but perhaps you will find that honesty and humility are the two you MOST want to focus on. It then take a look at the traits that we as parents must remember in our parenting- truthfulness, realness, consistency and my personal favorite- creativity! Like all parenting books, you may not agree with absolutely everything the book says, and you may not follow all of the advice given... but you will take something away from it either way! It is a fantastic resource for every parent and certainly worth the read. I have been trying to read daily to pass the time as I walk on the treadmill!! Lol! I would love to read the book because I think the Robertson's are strong in their Christian beliefs. FOR MY FAMILY TO READ ,LOVE THE ROBERTSONS AND THEIR MORALS! I want to read it because I like the Robertson family & Duck Dynasty. 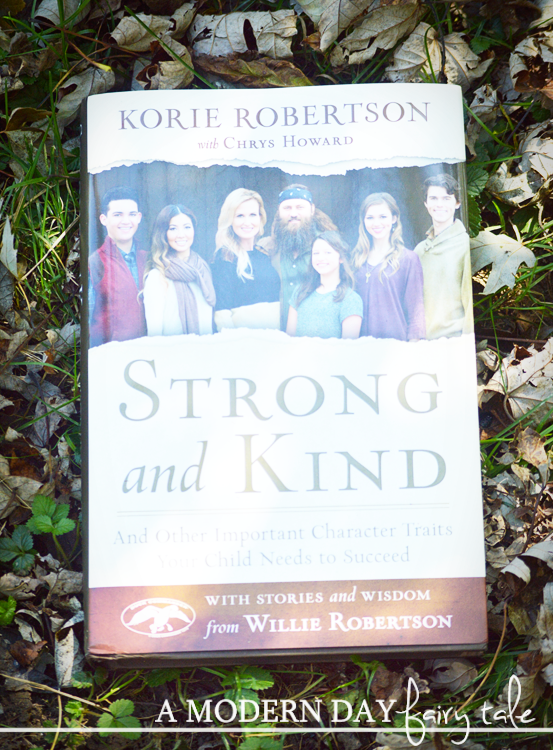 I want to win this book because The Robertson family is a very strong Christian family and I'd love to read what they have to say that might help my children be just as strong as they are! I like the Robertson family and their morals and values. I have 2 year old son and i was looking for this kind of book only. Thanks for sharing. I think they are a wonderful family. And would love to pass it on to my cousin who has had to go through the cleft process with both their kids. I want to win it for my son. He dressed up as Willie last year at work and won 1st place. thanks for sharing. It helps me get implication and broaden my range. Useful information! Contact Desktop Support Number +44 800 098 8380 to get Remote Desktop Support services online 24/7. Install or uninstall software, fix desktop error code.